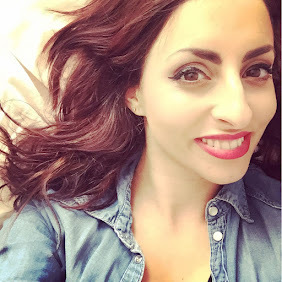 Hello Lovelies! 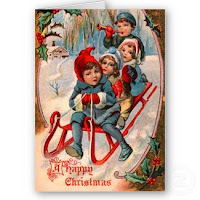 This post is going to be a little bit of vintage inspiration to warm the cockles and get you feeling ready for christmas! The glamour and sparkle of years before. 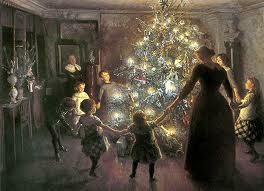 I love the paintings of families singing, glamorous dresses, big beautiful trees and shiny baubles to tickle the eye with colour. 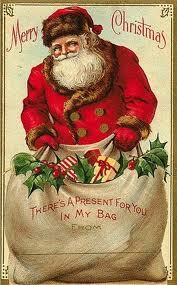 I love vintage/retro christmas cards! Cant beat the colours and design, they are warm and unique! 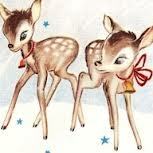 I love the bambi card! I would love it framed! Retro chrstmas decorations! I cant wait to get my hands on some, they are crafted beautifully. Each on looking different the one before. Look how creative you can be! 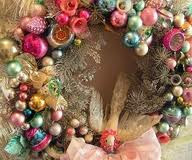 Make a wreath! Get a flower arranging green and glue the baubles on! Cheap and cheerful. 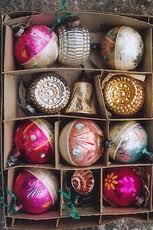 Collect some from charity shops and vintage fairs! 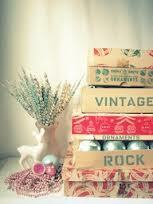 I am really into displays of vintage trinkets, chocolate boxes and lace! As you can see in previous posts of my displays at home. I absolutely love the picture on the left with the boxes stacked filled with retro decorations. A simple deer surrounded by retro pink pearls and a small collection of baubles. Simple yet striking! 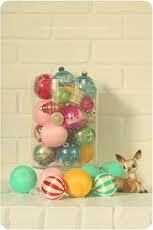 Then on the right, a clear vase filled with eye catching baubles surrounded by a pretty bambi and baubles! Look at this dress! Why dont we get to wear dresses like this anymore! Imagine the feeling when wearing this, of beauty and glamour. The men dressed smart, I mean who can beat a man in a suit?! Elegant makeup with perfected hair, ah how beautiful! Hope you have loved this pictures as much as I have!